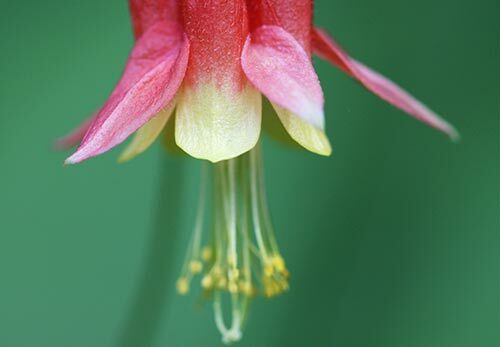 Canada’s pollinators are mostly insects, with some pollination thanks to hummingbirds. Together these important animals provide us with so much of the food we need and love like tomatoes, carrots and blueberries. 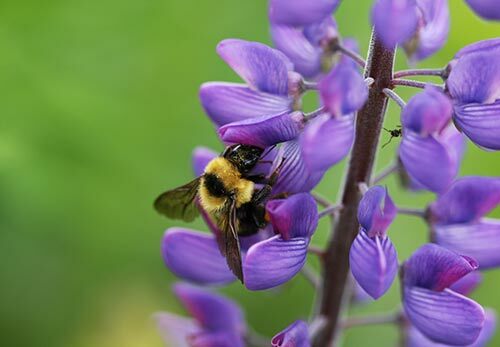 We can help Canadian pollinators in all sorts of simple ways by providing food, shelter, water and avoiding pesticides. We can also make a huge impact by supporting organic products which minimizes the spraying of fields and inadvertent harming of these important animals. 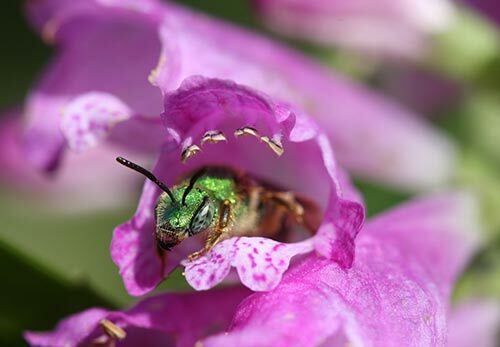 Some pollinators, like hummingbirds and wasps, eat insects. 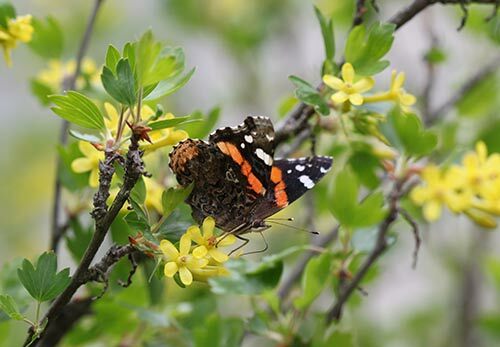 Some butterflies will drink minerals from damp soil, manure, compost or sand. 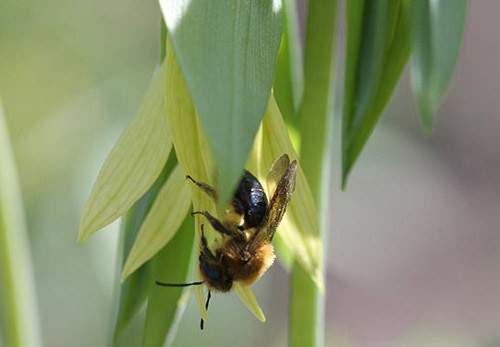 All pollinators, however, need nectar and pollen from flowers. 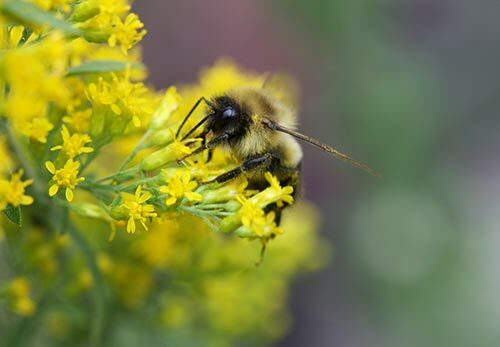 Avoid plants grown with neonicotinoids which remain in the plant and harm insects that feed on their pollen and nectar. Ask your nursery for details before buying or check out CWF’s neonic-free Plant Packs sold in stores across the country. 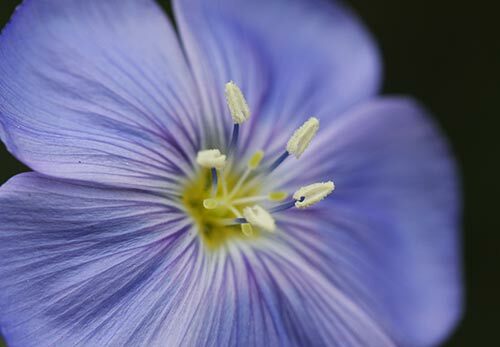 It’s also important to avoid plants that spread very quickly as they can take over natural areas, pushing out native plants that our wildlife has co-evolved to feed from. Some examples include Orange Daylilies and some honeysuckles. Mulch from plant material is wonderful for keeping weeds down and the temperature of roots even. It helps conserves moisture and slowly returns nutrients to the soil. It can also provide overwintering spots for various creatures. But bare soil is beneficial, too. 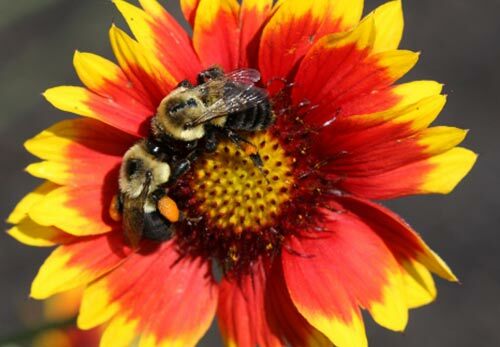 So while it’s great to include naturel non-dyed mulch in your garden beds, consider also leaving a sunny patch bare for many of our solitary (and peaceful) bees who nest underground. Some solitary bees nest in hollow upright stems while others will nest in dead wood so consider leaving a portion of a dead tree vertical if it’s safe to do so. It can also give a much needed home to an owl, woodpecker, chickadee, nuthatch, wood duck or other cavity nesting bird! Of course, a variety of trees, shrubs, perennials and vines naturally provide shelter to so many of our wildlife. They are places to rest and escape the weather or predators and hummingbirds, our only bird pollinator, also use trees for nesting and plant parts, like Dandelion down, for nesting materials. While pollinators get liquid from nectar, many will also be glad of pure water. You can make an insect dish with a plant saucer with some stones on one end and sand (not sterilized) on the other. Add just enough water for perching insects on the stone side and butterflies on the sand side. You may want to tip the dish a bit sideways to keep the sand from washing all around the dish. One of the most important things you can do is avoid pesticides so pollinators have a safe food supply as well as not being sprayed directly. Insects are vulnerable to the chemicals. Instead, minimize pest damage by strengthening plants with compost and attracting allies to do the job for you. These include songbirds and woodpeckers, bats, snakes, toads and beneficial insects. Your consumer power can make a big difference too. When feasible, support safe farming practices by buying products that were grown organically. 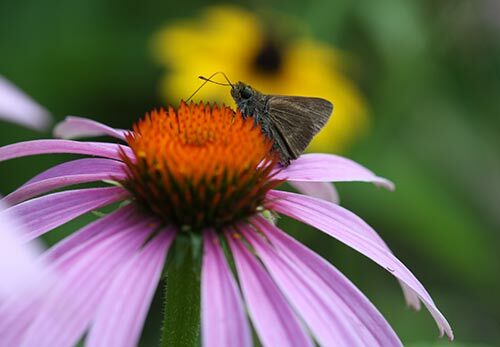 Enjoy creating your pollinator garden and remember to visit our Native Plant Encyclopedia and Native Plant Suppliers List to help you on your way.